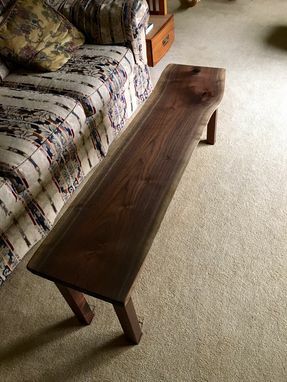 Customer had several hundred board feet of rough 1-1/4" thick walnut stored in his uncle's barn for 5 years & wanted 2 Bedroom Sets made from the lumber. The Master Bedroom Set included: a Queen-sized Bed; a Tall Chest or Armoire; 2 matching Night Tables; a 9-Drawer Dresser; and a "live-edge" Bench. 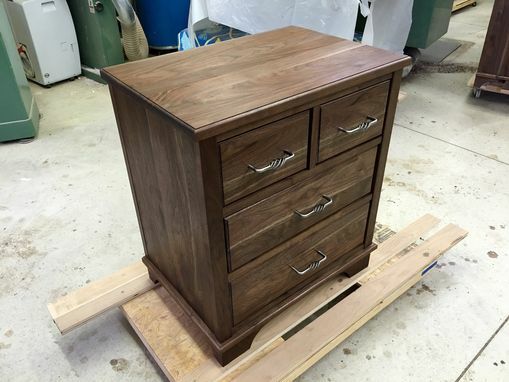 Mortise & tenon construction was used primarily with all pieces while dovetail joinery was used on all drawers. Drawers glide smoothly on Blumotion undermount drawer slides; all doors are fitted with Blum "Clip Top" hinges. 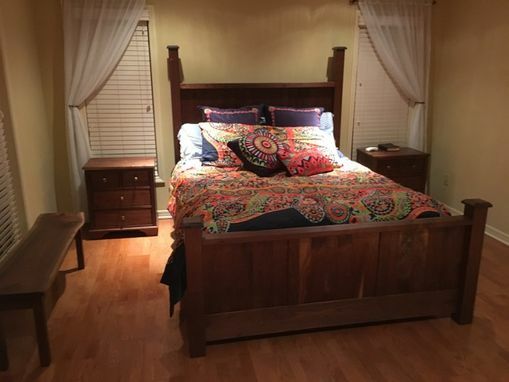 Customer selected the pulls/knobs for both Bedroom Sets & were installed by the craftsman. 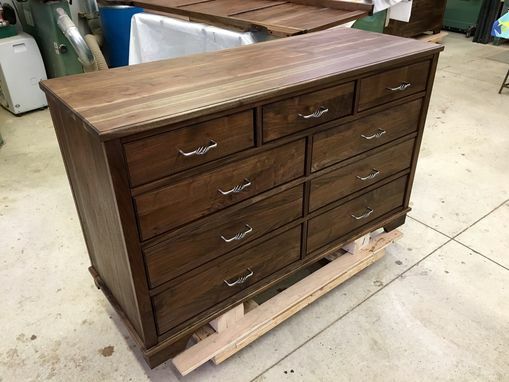 Each piece was given a liberal coat of a 50/50 mixture of dark walnut Danish oil & a satin polyurethane, allowed to dry about 10 minutes, & then wiped off. This was followed by a hand rub with wax, which gave the wood a low luster sheen. 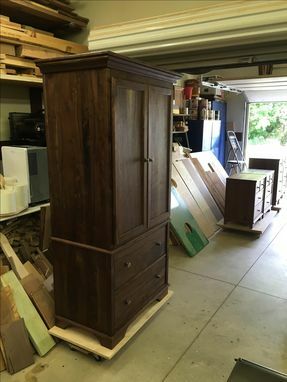 List price is for all 6 pieces of the Master Bedroom Set, excluding the walnut as it was provided by the customer. 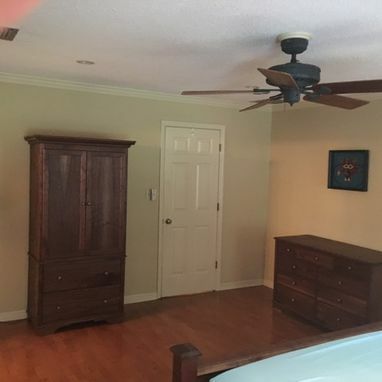 If desired, individual pieces of the Master Bedroom Set can be constructed; please contact the craftsman through the Custommade.com website for details & costs. *Please note: It takes on average about 3 weeks to make each piece of the 6 piece Master Bedroom Set; minimally about 18 weeks for the entire 6 piece Master Bedroom Set.